A very attractive village which is nestled within a beautiful valley in the North Yorkshire Moors. Eitherside of the village are stunning limestone headlands and the whole area is surrounded by the heather cladded Spaunton Moor. 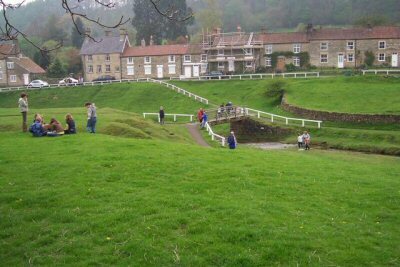 The village itself has a wide green which Hutton Beck flows through and some of the best ice cream and chocolate can be bought in the locals shops and cafes.